Founded in December 1998, Figleaves is an online retailer of branded clothing carrying over 250 brands of lingerie and swimwear. Their Headquarters are in London, with offices in New York, Detroit and Toronto. Via two websites, in the UK and US Figleaves distribute globally. Figleaves required a new UK and European distribution centre. Specification and requirements were discussed in extensive detail before construction of the new building commenced, including integral mezzanine floor storage and stock flow systems, dock loading; Grade A offices, mechanical ventilation and comfort cooling, a comprehensive fire sprinkler system, installing a platform lift and the provision and installation of data cabling. The building itself, a new warehouse, office and packing facility was constructed to a total size of 5,232 square metres (56,321 sq ft) which included a mezzanine storage area of 1,858 square metres (20,000 sq ft) with 325 square metres (3,498 sq ft) of offices and an eaves height of 8 meters. The mezzanine floor area was constructed to house a specialised racking and picking system which also involved installing a specialised conveyor system; this was installed from the mezzanine floor above to the packing area in the warehouse area below. The office area of the building was created to suit the particular requirements of the occupier, a large sales/customer service area including conference facilities was constructed, along with catering areas, WC and shower facilities. The bespoke facility Hill Street Holdings constructed for HID Corporation enabled the international lock and Security Company to bring together its European operation under a single roof. The 1,405 square metre (15,133 sq ft) headquarters building is 40% offices, but also contains a warehouse, ancillary spaces, a canteen and a high-specification conference room with full audio-visual facilities. A flexible ground-floor layout was designed to give HID the option of expanding its office space in the future. The tenant wanted the flexibility of having office expansion space, which we have accommodated by leaving unfitted office areas at ground floor level. Warehouse ancillary areas, including canteen and toilet facilities, reception area and conference room (fitted with full audio visual facilities) are located at ground floor level. There is the ability to accommodate a further 269 square metres (2,900 sq ft) of office accommodation to add to the 390 square metres (4,200 sq ft) of offices currently at first floor level. The building has currently approximately 30% office content. One of the impressive features of this project was the speed of delivery. Starting with a Greenfield site, the total time from the start of construction to HID moving in was just 28 weeks. Sigma Genosys Ltd, part of the Sigma Aldrich US and worldwide scientific research Supplies Company wanted a bespoke production laboratory, office and warehouse facility. Unit C comprises 2,064 square metre (22,220 sq. ft) including 480 square metre (5,165 sq. ft) of offices at first floor level, and can accommodate fully fitted offices also at ground floor level giving nearly 50% office content. The building has been sold to Accord Healthcare and fit-out completed to the building as a pharmaceutical production plant. Accord Healthcare also purchased another neighbouring unit, built by us specifically for them as a bulk storage and research facility. The building is 10m high and houses a specialist racking system. Also included is a secure basement area with 3 office floors above. The building is also fitted with dock levellers as well as level loading doors; completion was reached in autumn 2010. Stratos Lightwave is a manufacturer of fibre optic communication cabling. Stratos occupied existing space of approximately 930 square metres (10,000 sq ft) at the Holland Centre when acquired by Hill Street Holdings. Stratos was consulted on their continuing occupational space requirements. As a result, a pre-let was agreed for a new purpose built manufacturing and warehouse facility in a new bespoke building. Their existing space was re-let by Hill Street Holdings. 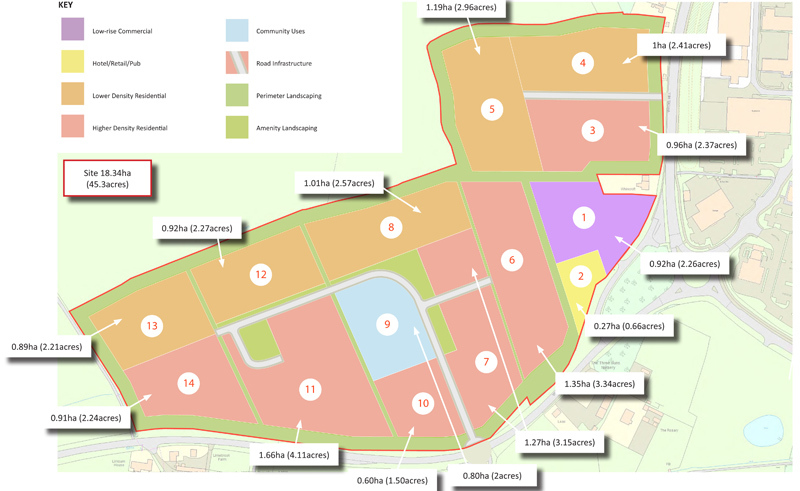 The Homefield estate was purchased in August 2000 and construction on the development land commenced in September of that year. The first of two new 1,115 square metres (12,000 sq ft) unit was completed in June 2001 and Stratos occupied it immediately. Refurbishment of this 1,860 square metre (20,000 sq ft) trade counter unit, with a letting in mind to Wolseley PLC to trade from the premises as Builder Center. The building was acquired in August 1999, and the refurbishment works completed within three months, and the building was subsequently sold on as an Investment. Oxford Office Village is a new development of High-quality office buildings on a 3.5-acres site in Kidlington, Oxfordshire. Strategically located to the north of Oxford, Kidlington is an established commercial location offering excellent communications on a local and national level, with the M40 and Oxford Airport both close by. 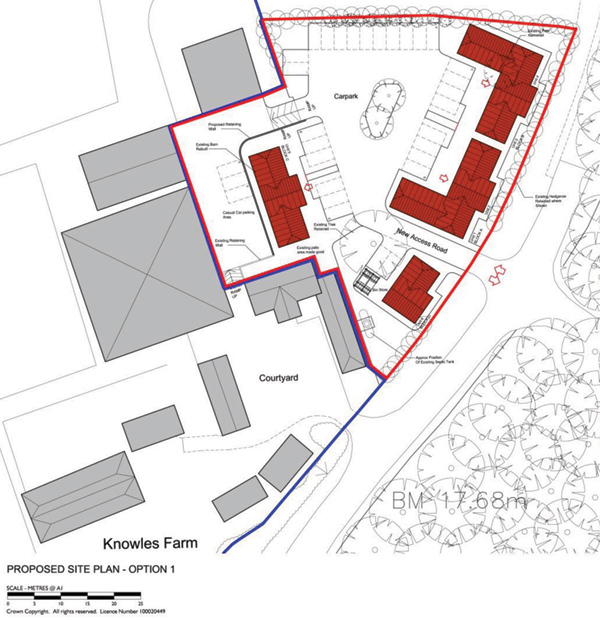 The Development is of a former Dairy Crest site of 3.5 acres provides a total of 6,000 square metres (64,584) of office space in individual self-contained buildings from 170 square metres (1,830 sq ft) to 691 square metres (7,440 sq ft). The premises are finished with a high-specification interior fit-out. Phase 1 of the development was completed in October 2006 which comprised 11 individual units; all 11 units in phase 1 have been let or sold. There are four distinct modern-looking building types arranged within a courtyard effect. The internal elements of the building are finished to a very high specification, including steel and glass balustrade, lifts, raised floors and the installation of mechanical ventilation and heat recovery comfort cooling. Gateway 1000, Arlington Business Park, Stevenage. The local planning authority were keen to see modern-looking accommodation on the site as they had labelled it the ‘Gateway’ to the Town. A mix of use units were constructed including offices, small industrial units and two storey business units in detached, semi-detached and terraced arrangement. The office Development element comprised a total of 4,740 square metres (51,000 sq ft) new offices in phase one and 3,960 square metres (42,600 sq ft) new offices in phase two. This development provides flexibility for occupiers, are available on a floor by floor basis ranging from 105 square metres to 615 square metres (1132 to 6600 sq ft). They have been designed to be sub-divisible if necessary floor by floor and constructed to Hill Street Holdings usual high standards. The Industrial element of this development consists of 3,063 square metres (33,000 sq ft) and includes both individual single storey industrial units and two storey business units. All of the industrial units were sold before construction was complete. The Two Storey business units provide flexible accommodation with a shell industrial unit at ground floor and fully fitted offices at first floor level. A HSH company constructed three 2 storey units known as HJK which the occupier purchased and wanted to convert into a data centre for his web hosting business. The data centre had very specific requirements in terms of power and fit-out. The first two units were carefully converted into one unit with minimal disruption and mess. The ground floor area was to be the hub of the operation and required additional mechanical ventilation to be installed to cope with the data centre servers, this area had a very specific requirement in terms of specification concerning services, security and layout. The conversion involved new internal layouts at first floor level, the re-design of the first floor involved re-positioning current services and creating a new block to house additional WC’s and a shower facility, extending the current catering facilities and creating a range of partitioned office suites and a conference area. There was a strict budget to adhere to which meant constant contact with the occupier. This day care nursery facility building was constructed in conjunction with the requirements of the tenant, we worked closely with them and they were actively involved throughout the design and construction process, the nursery is set out over one and a half storeys. The building is approx 622 square metres (6,695 sq ft) which has individual rooms for children of different ages and ability. The building has been constructed with a number of shapes, size and colours in mind, including the construction materials, windows and finishes. At first floor level there is a large open room which has been designed to be divisible by a moveable partition when required. The building and its surrounds are secured by 2.0m high weld mesh fencing and the occupier has installed play equipment for the garden areas. Work started on site February 2010 with a move in date August 2010. The purpose built veterinary’s practice was constructed on a pre-sale agreement. The occupiers had a detailed specification of requirements for their specialist business. Work had to be completed to a specific timescale to enable internal fit-out such as theatre equipment, to be installed. The building was approx 474 square metres (5,100 sq ft), single storey with its own and a shared Public parking area. External works included a secure yard area for deliveries and staff parking along with an area around the back of the building for operational uses. Internally as typically expected from a building of this type the Reception area is a large open space with a small retail element with individual consultation and other specialist veterinary rooms behind for its operational functions. The occupier already had other practices and wanted to expand in to the area to take advantage of the minimal local facilities in existence. We started work on site in March 2009 with a move in date of September 2009. Hill Street Holdings has constructed some mixed use developments, for example this retail and residential new build consisting of a ground floor retail unit with three upper floors of residential accommodation comprising seven apartments. The retail unit was pre-let to an occupier on a 15 year lease term. The building was constructed to a high specification and the site was on a parcel of land between two buildings. The building comprises 1 ground floor retail unit of approx 238 square metres (2500 sq ft) with seven residential properties above including a penthouse apartment, sold on a 150 year long leasehold basis within 3 months. Construction of the building was a challenge as the access was restricted both in terms of plant and deliveries due to its location. 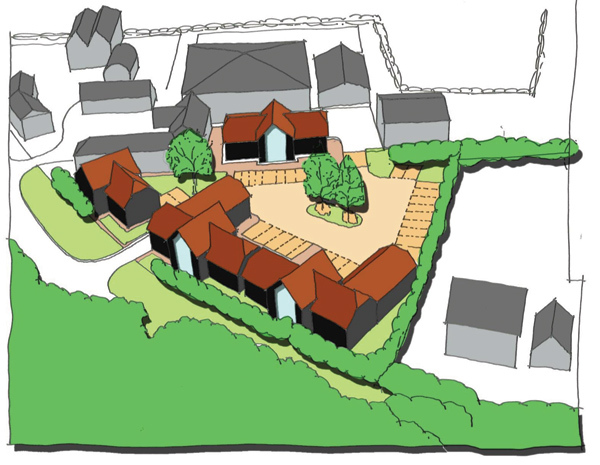 Rebuild and new build of traditional style buildings creating a court yard setting at this edge of town site, offering business park amenity with excellent access to all facilities in a quiet semi-rural environment. Phase one completed early 2008, with Phase two in detailed planning discussions spring 2013 for immediate development with a further phase to follow as the market permits. When completed there will be a total of 3,160 square metres (34,000 sq ft) of business space in units from approximately 47 to 235 square metres (500 to 2,500 sq ft) along with an accompanying restaurant and hotel facility and eventually there will be a further residential quarter including three hundred plus high quality residential units.